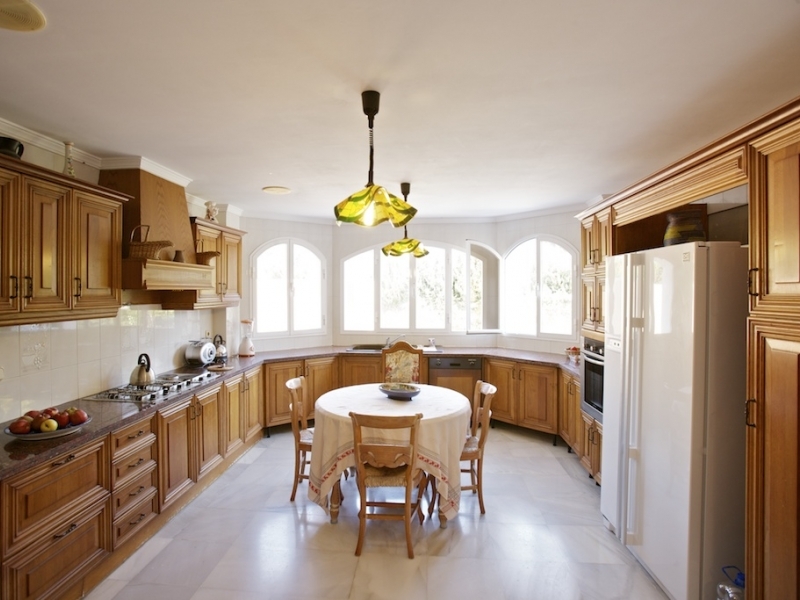 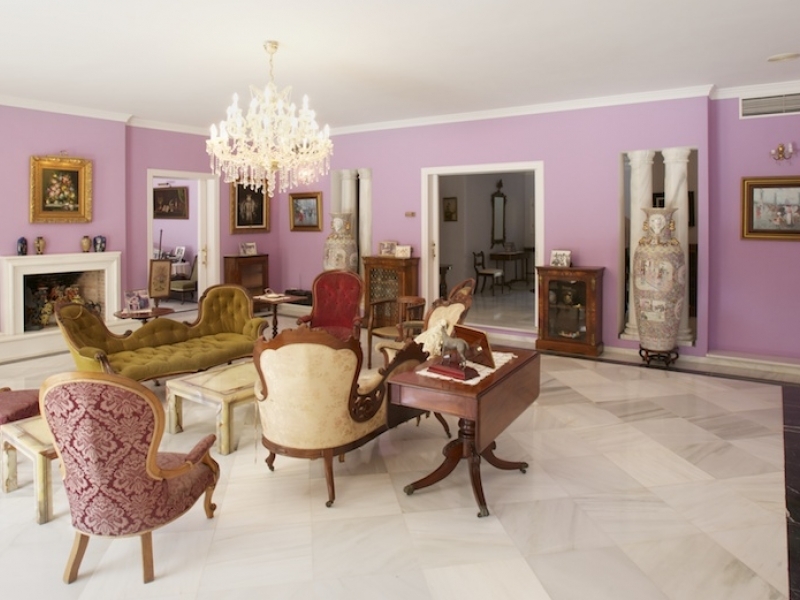 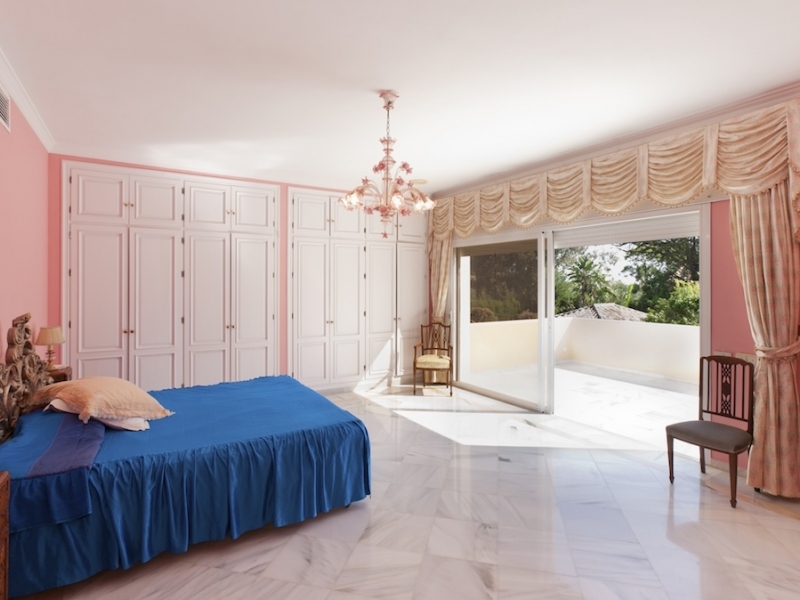 Impressive villa constructed on 2 levels plus a small basement in the late eighties with 38 marble columns, marble floors throughout and Portuguese marble bathrooms, consisting of a main villa and a guest house situated in a large plot of land. 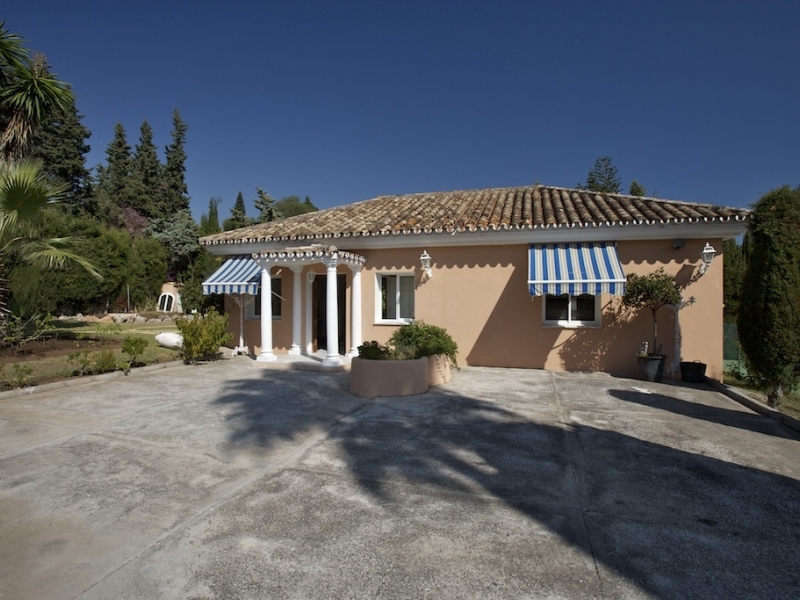 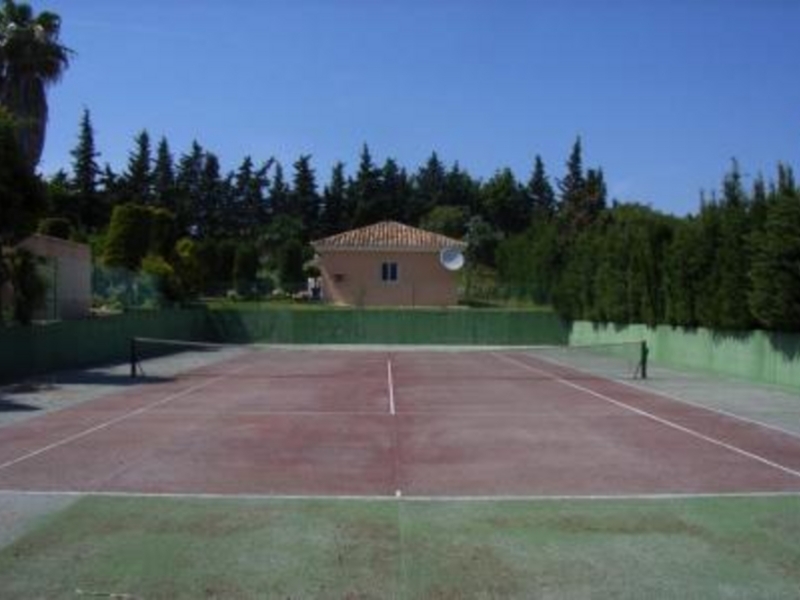 Located on the beachside just west of San Pedro de Alcántara this property is only a drive away from the nearest golf course, some restaurants and a supermarket. 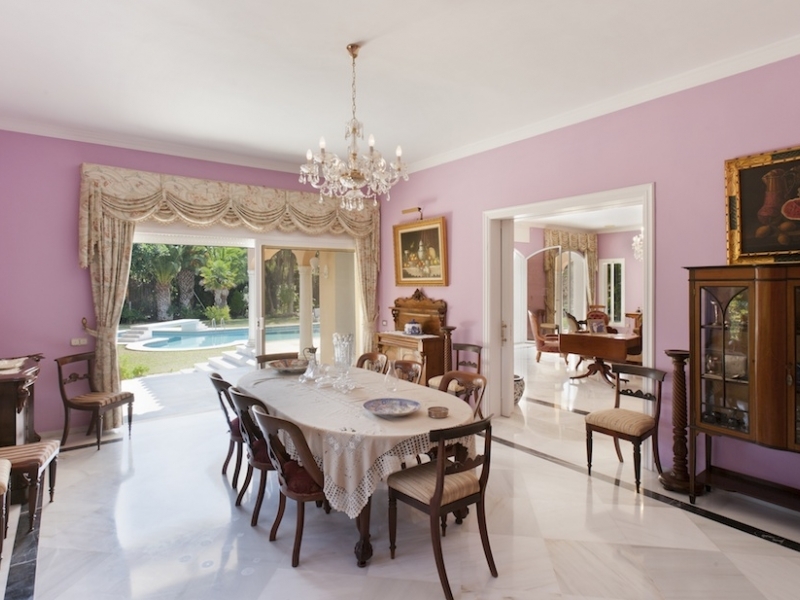 This south facing villa enjoys all the privacy one could desire and tranquil views over its own mature garden with swimming pool and a tennis court on the side. 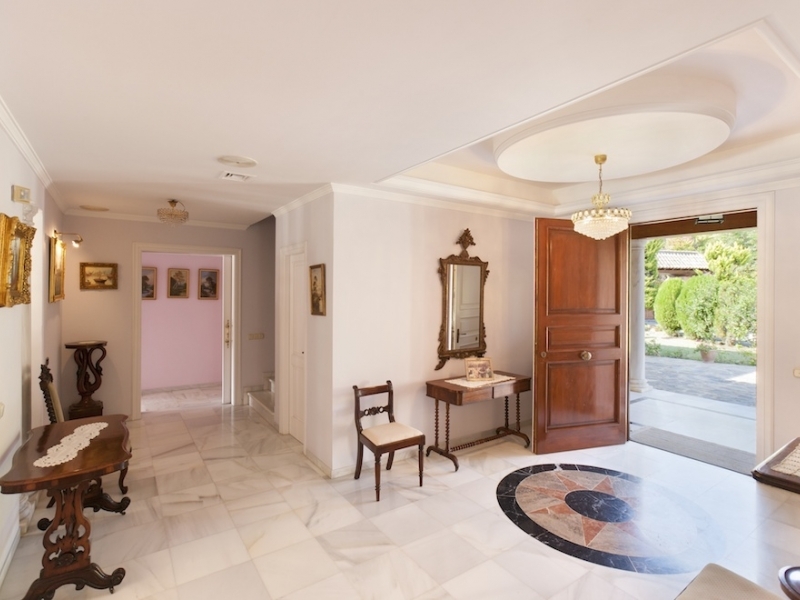 This elegant home is accessed by a large entrance drive and offers a spacious entrance hall with guest cloakroom, 5 bedrooms, 4 bathrooms, living room with fireplace and access to the covered terrace, dining room, television room, fully fitted kitchen with breakfast area, laundry terrace, large open terrace on the 1st floor, solarium and further a bodega and machine room in the basement. 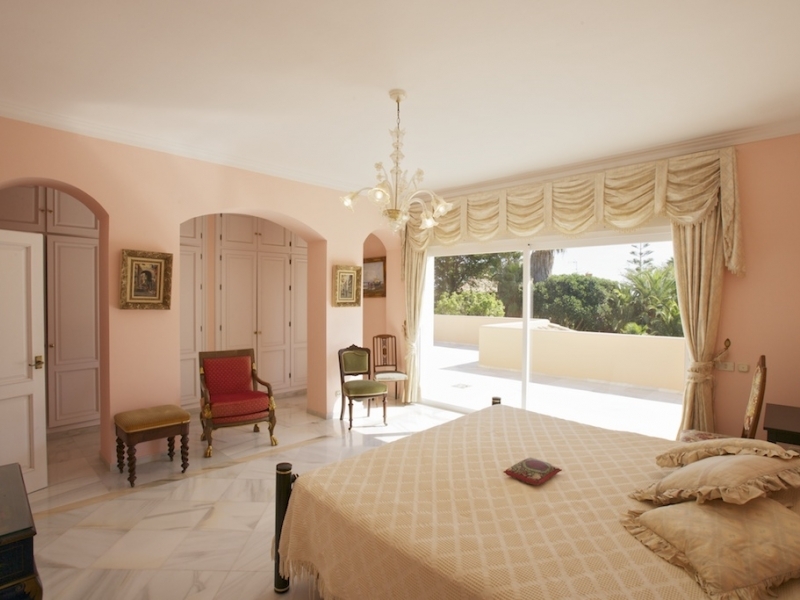 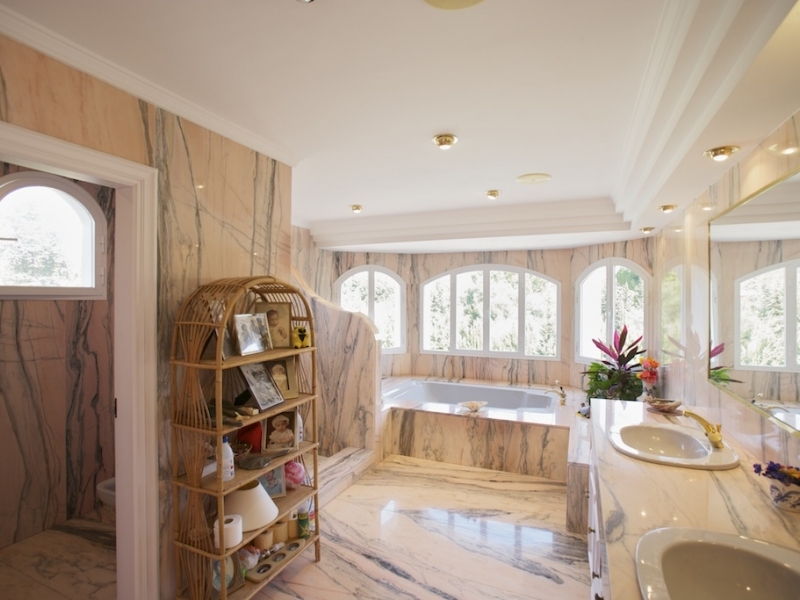 Two large master suites with dressing room and pink Portuguese marble bathrooms with separate bath and shower. 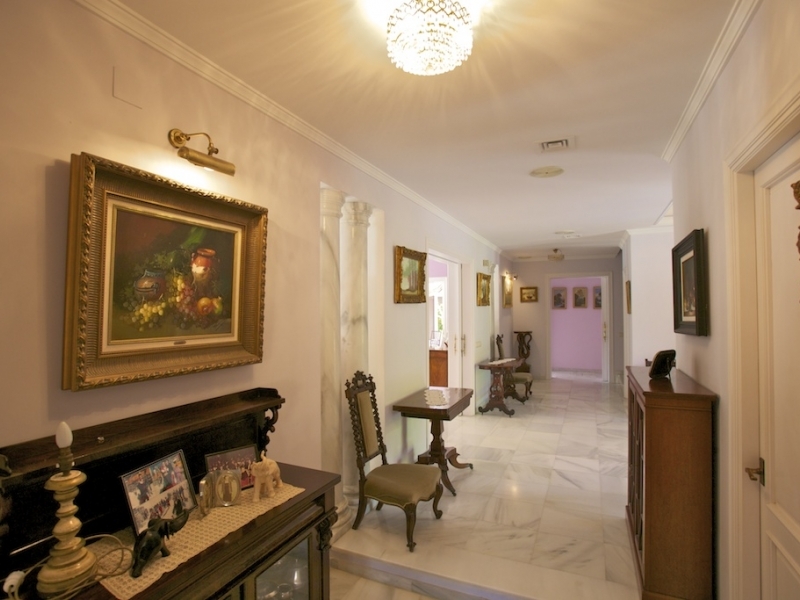 The guest house enjoys a living room, 2 bedrooms and 1 independent bathroom. 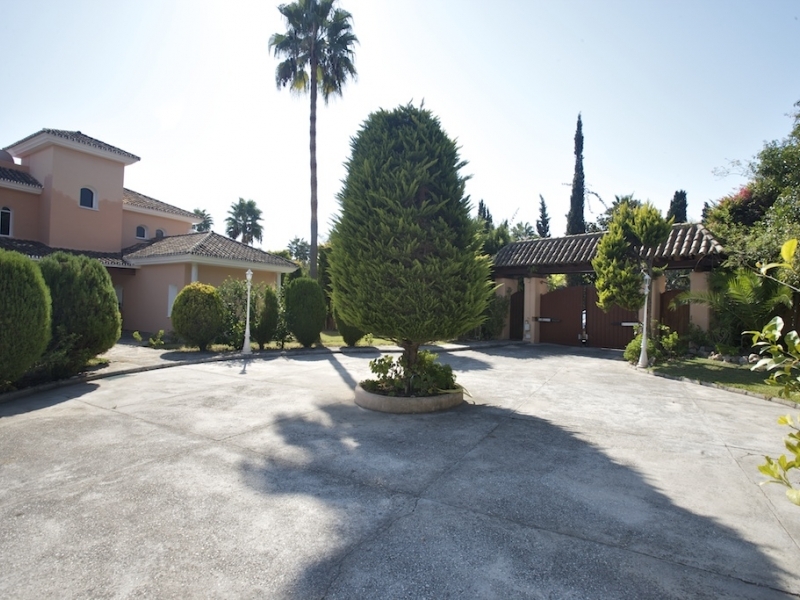 Finally this property includes a beautiful pergola with bar, toilet and shower room servicing the entertainment area with large swimming pool and tennis court. 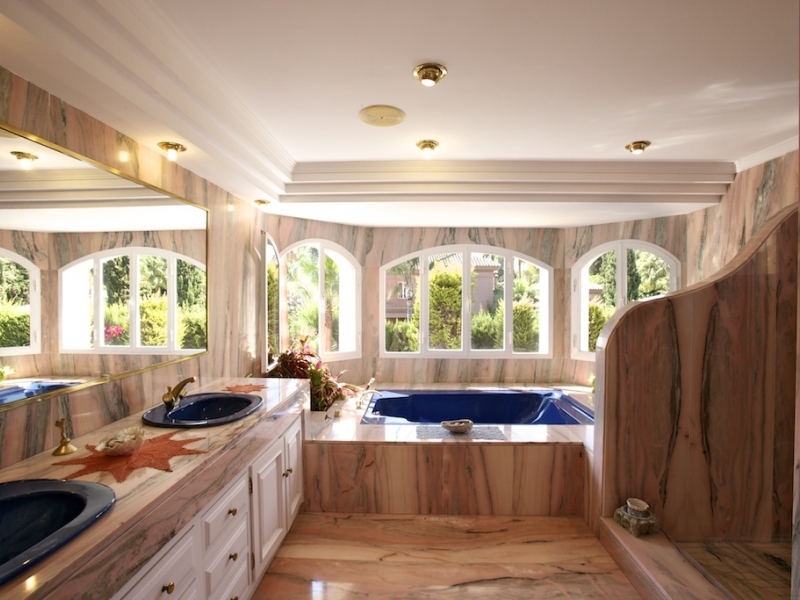 Tiled in marble the property is fitted with A C hot & cold, alarm, electric blinds to large windows, central music system with intercom, satellite television and own water well with 10.000 litre water tank.